Welcome to Carbon County Friends of Animals! Jester is a handsome gray & white tiger domestic long hair up-to-date on vaccinations and neutered. At 3 years old, he is looking to spend his time being loved. He would be suitable for most family environments and enjoys the company of children and other animals. 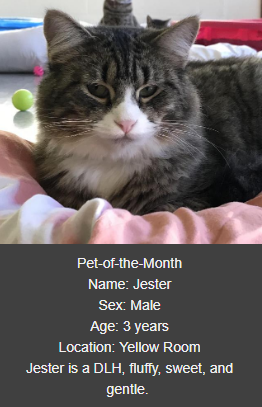 If you are interested in adopting Jester or would like to meet some of our other fur-kids, please stop by the shelter or give us a call at 570.325.9400. We would love to meet you! Click HERE to see all of our pets! We are holding our annual pie & roll fundraiser. 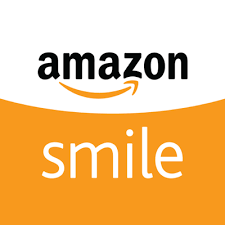 Orders are due 3/22, and delivery is 4/17. We are holding our annual Easter candy and chinese auction fundraiser on 4/5, 4/6 & 4/7 at Giant in Lehighton. We are holding our annual Spring CCFOA Vaccination Clinic on 4/14 at the shelter. We are holding our annual Spring Coach/Vera Bradley Bingo fundraiser on 5/5 at the Orioles.